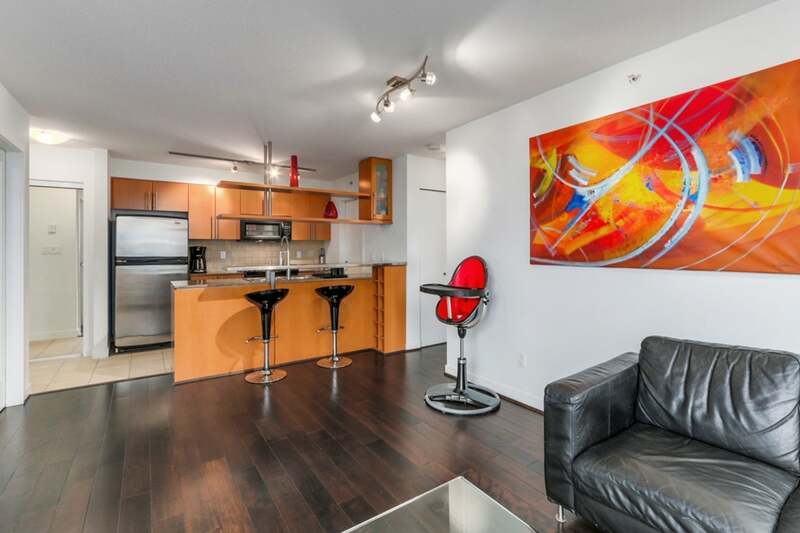 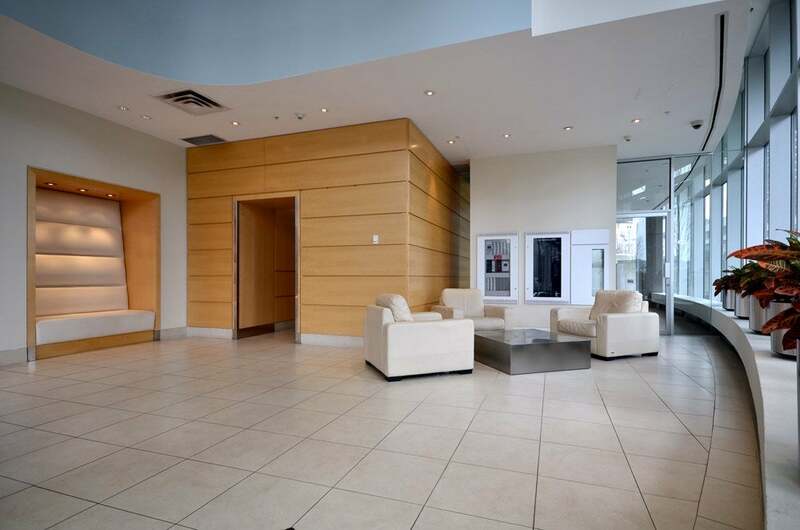 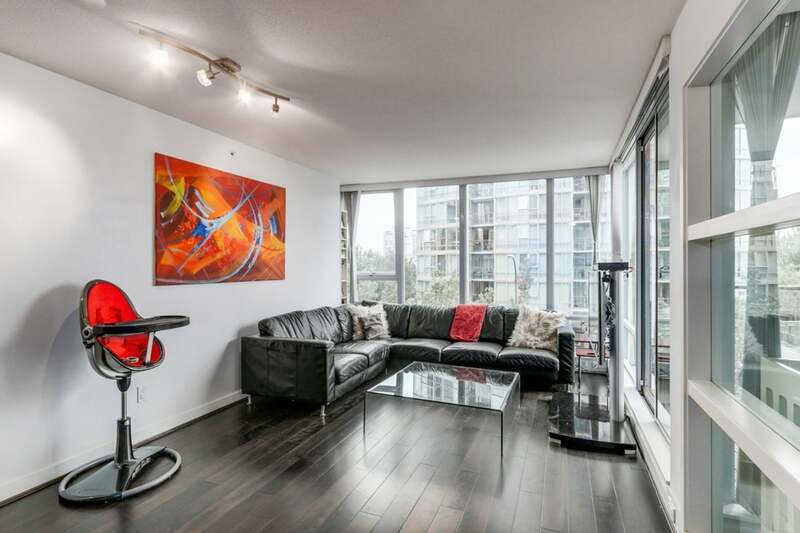 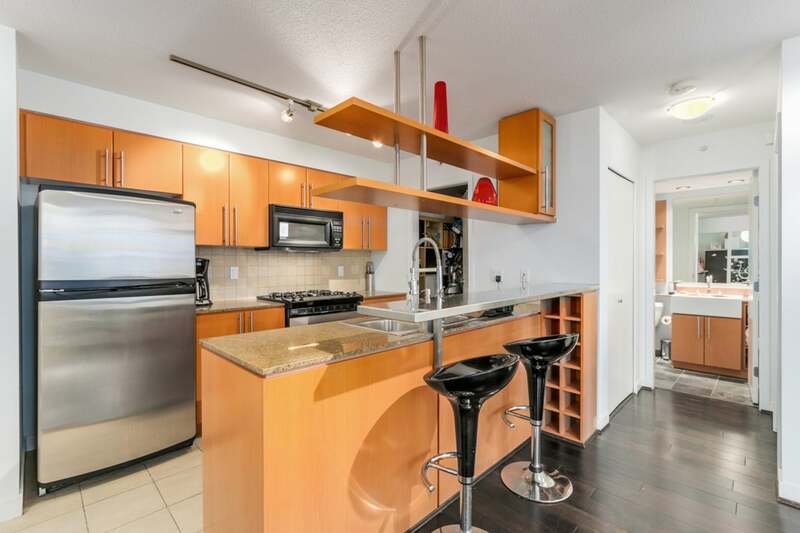 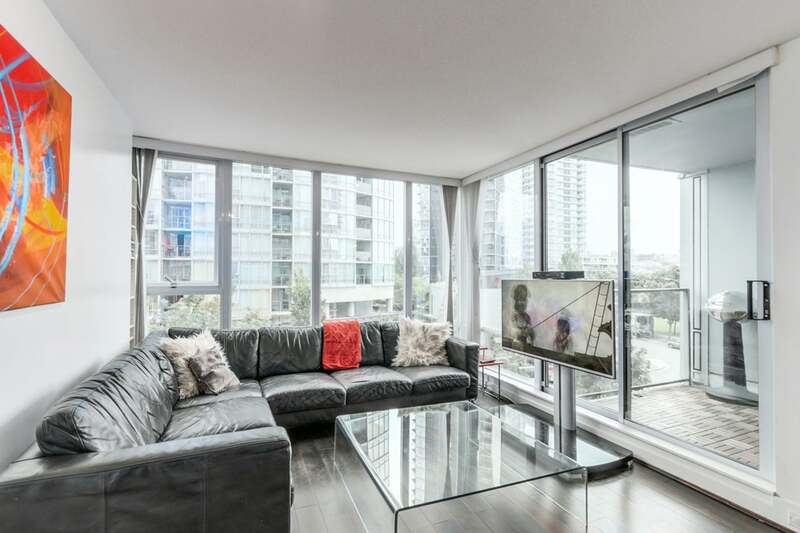 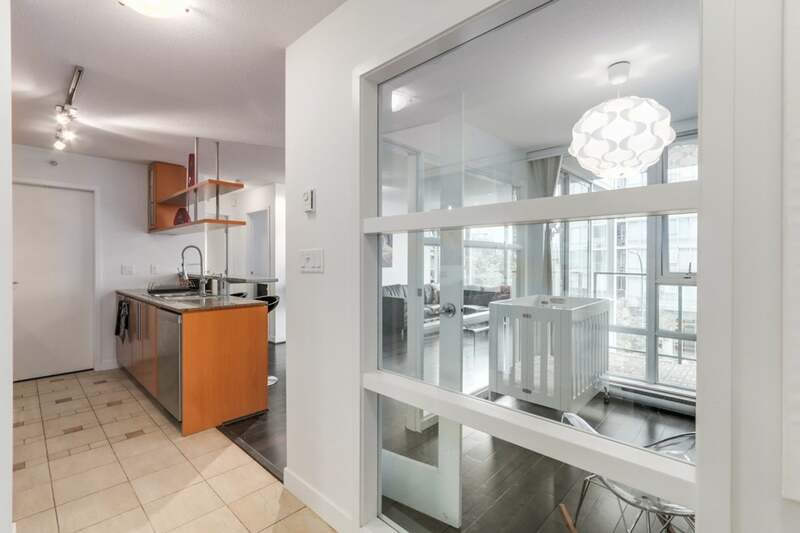 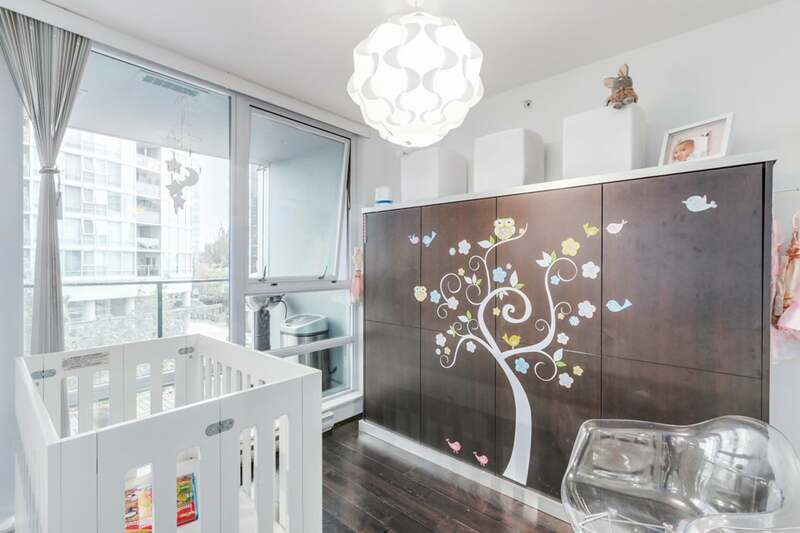 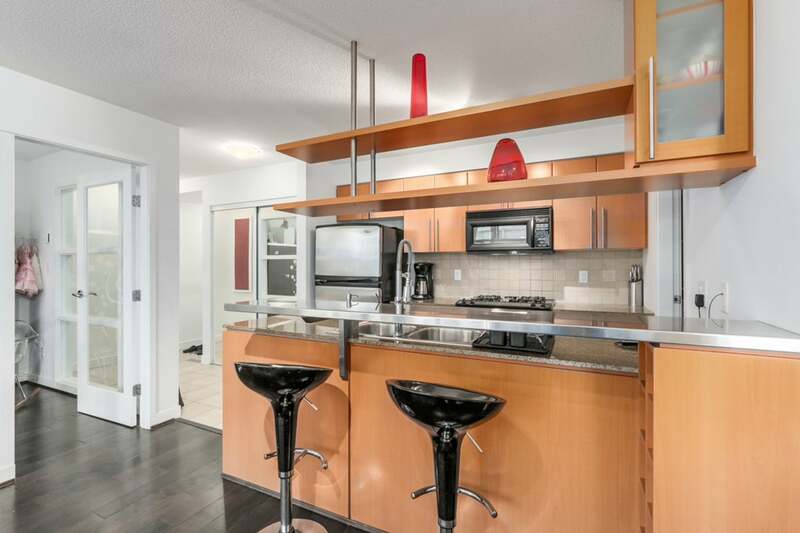 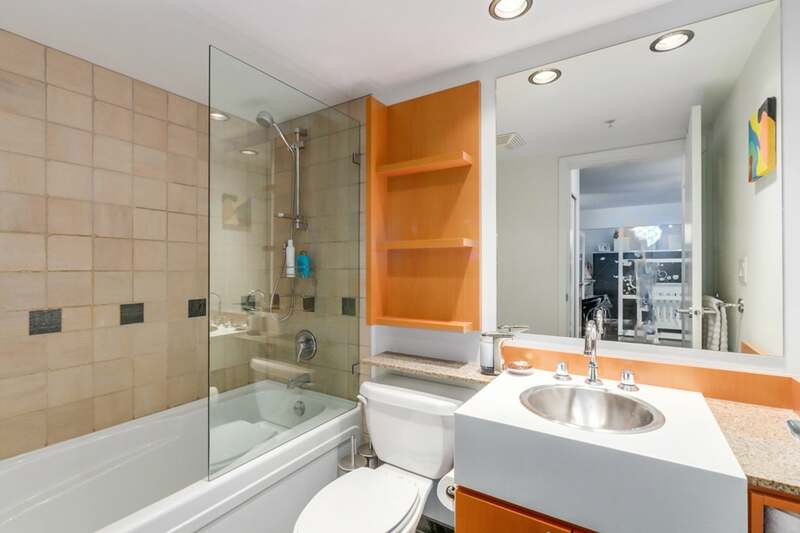 Fantastic, 1 bed + den in popular Azura II in the heart of the Beach Crescent neighbourhood. 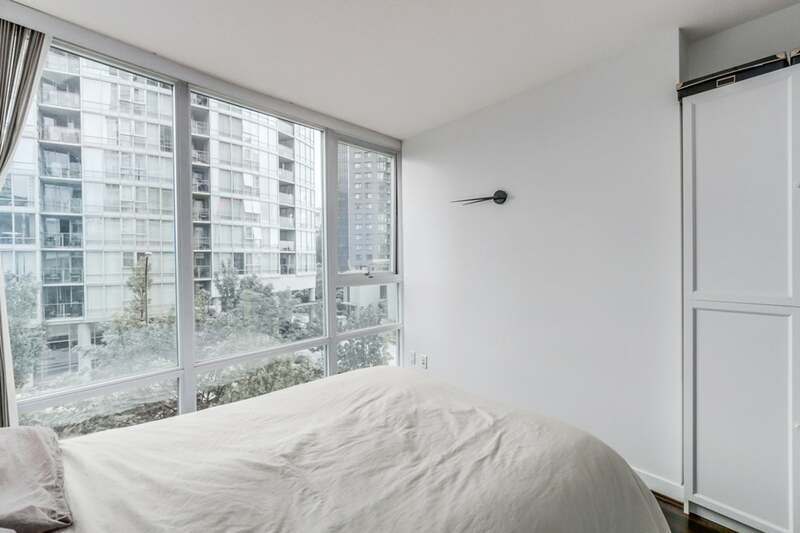 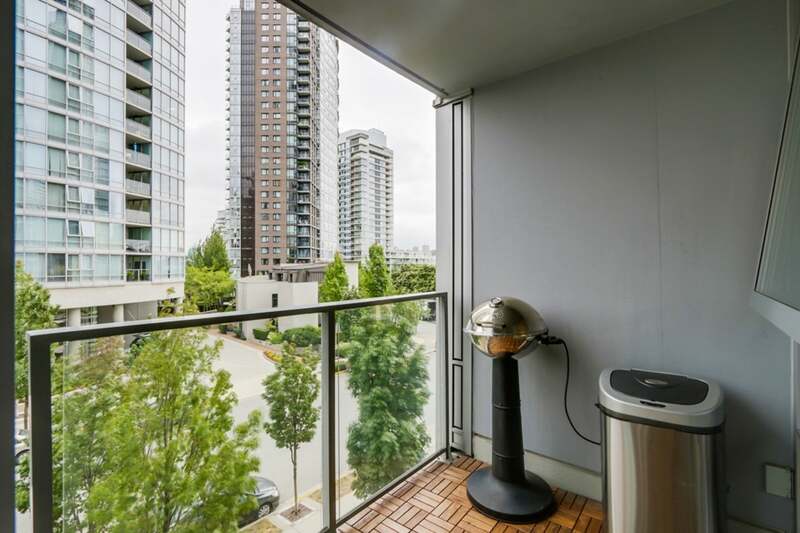 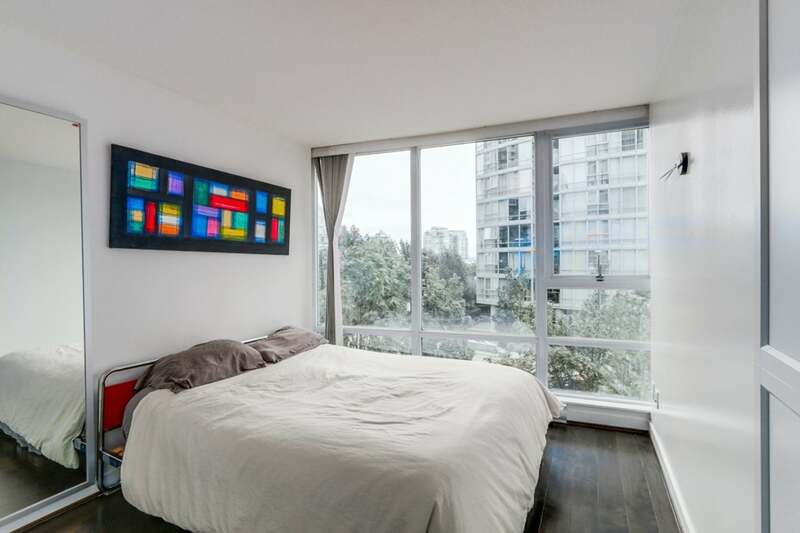 Light & airy, south-east exposure with views to George Wainborn Park/False Creek. 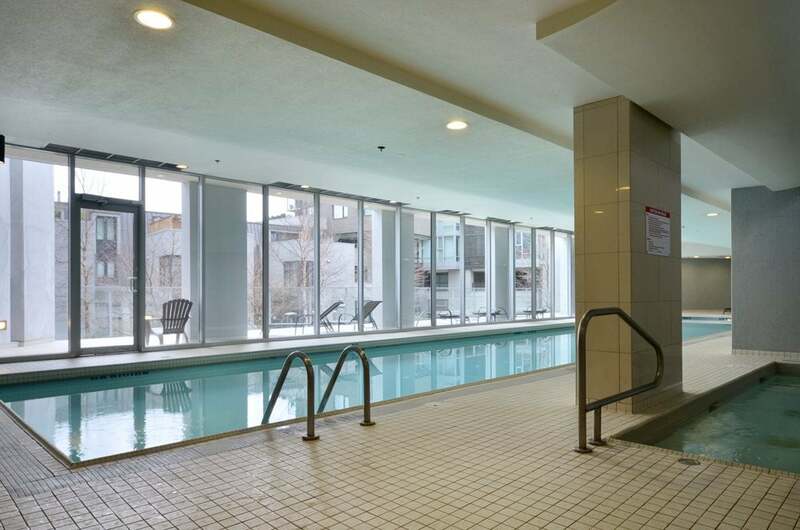 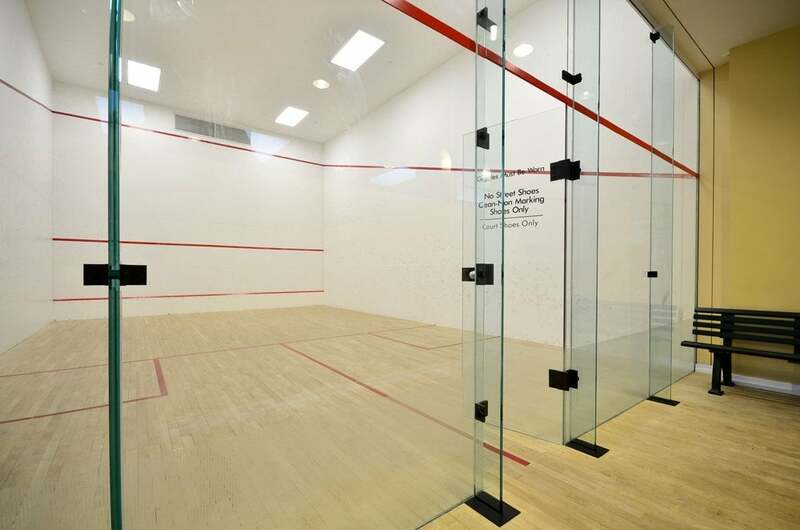 All the amenities you could want - indoor pool, well-equipped gym, sauna/steam rooms, squash courts, cinema room, guest suites and more. 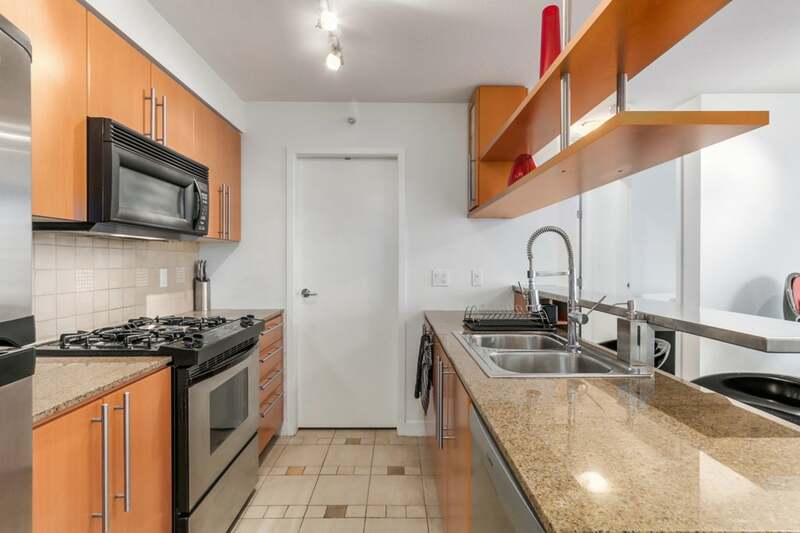 The suite has an excellent floor plan with hardwood floors throughout (ceramic tile in kitchen and bathroom), newly painted and ready to move-in. 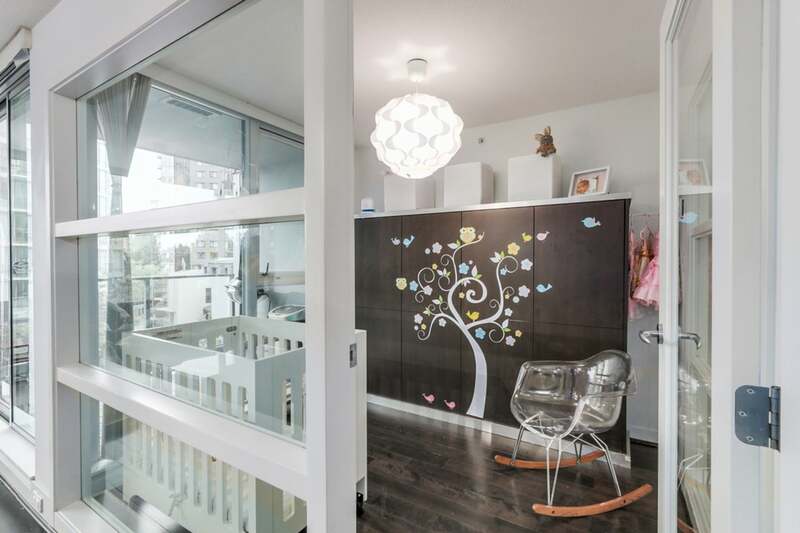 The den is large enough to be a second bedroom or dining area. 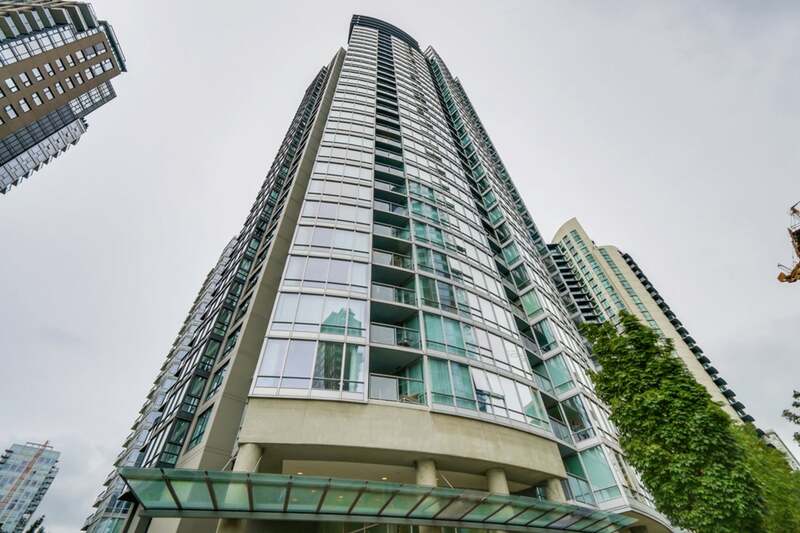 Steps to the seawall, Yaletown shops and restaurants. 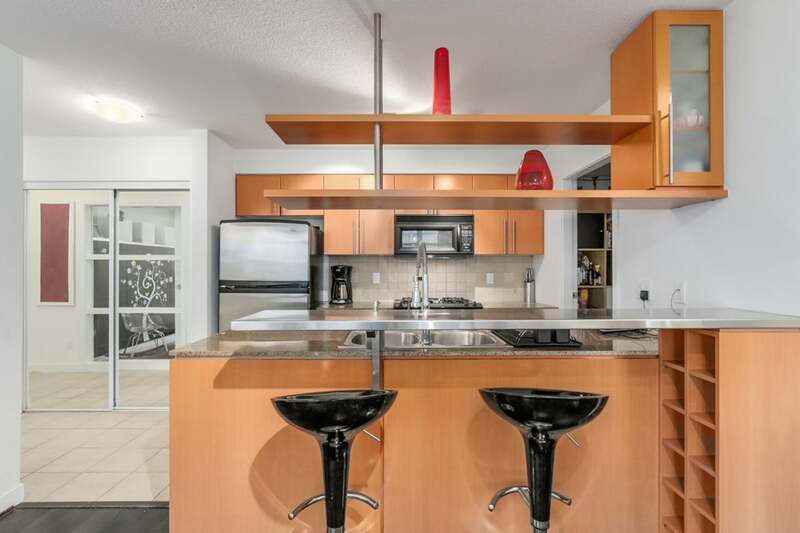 Call this resort-style living your home!